If you have ever tried yoga or have been in special classes, you know that there is no alterative to it when you are nervous, worried or just tired! The only reason that you have given up the classes may be just time and money, because you surly have been enjoying it! Well, here we will present you the best yoga poses to try at home, so you may do them whenever you find spare time and you don’t have to rush for classes or pay money for that! Just learn how to do yoga at home! It’s not difficult to guess what this pose requires! You should lie down and stretch your legs up to the ceiling! In order not do feel discomfort just move your pelvis a bit away from the wall. It’s important to put your hands on the two sides of your body relieved. 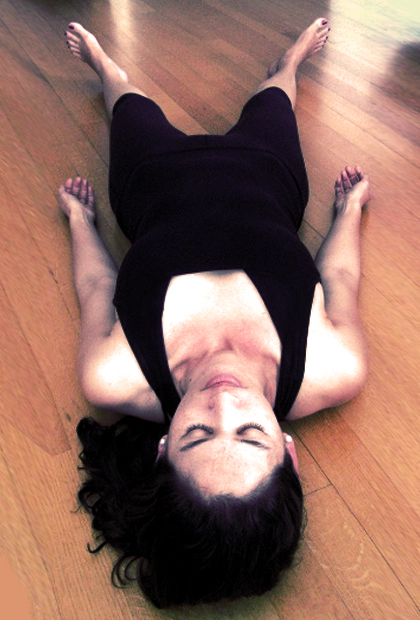 This pose helps you to clear your mind and gives pleasant elevation! This pose itself makes you feel in comfort, as you don’t happen to use it in every day life, and this change helps your muscles feel opened and relieved. To start yoga, lie on your back, put a pillow or something like that under your head, bend your knees and help your feet touch the floor for perfect pose! Let your palms be next to your hips! And after that, all that you need is to get relaxed and meditate a little! Like its name, this pose gives you child’s freshness after yoga! It’s very useful if you have a back pain or strained muscles after hard working day! To start, widely apart your knees and bring your big toes together. Then you should stretch forward, however, don’t rush, as it may be a bit difficult, do it slowly not to get pain! If you are forward with all your back, now you may choose how to place your hands! You may put your palms facing down or just up! Either way you will get relaxed! Unlike the other poses, this one has some restrictions to follow, that is you should breathe in a right way and sway carefully! As you bend forward with all body, you should breathe stably in order to keep the pose for some time! You should bend your hands and stretch forward, that is to say down by head to your toes, open apart your legs and be as close with your head to your legs as it is possible! This will help you to feel how your back relives and after yoga you will feel inexplicable relaxation! If you look at the picture it may seem that this pose gives you chance to have a nap! That’s a bit funny as it hard not to get asleep! Anyway, for doing this yoga exercise you need to lie on the floor, make your legs apart! Mind that the floor should be straight and no pillows are needed! Place your hands apart, palms opened and close your eyes! 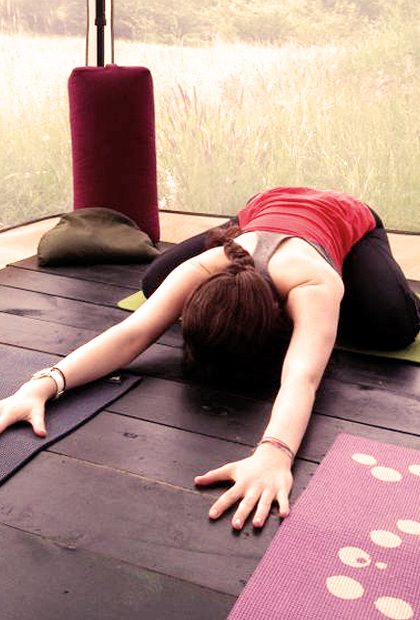 This pose may help you to calm down and get away from your problems and tiredness! So, as you see there is no apology accepted about your lack of time or money anymore! Now you see how easy are the best yoga poses to try at home!